The ICIS Subscriber Platform is a single, online platform that offers an instant, detailed view of the chemical, energy and fertilizer markets. 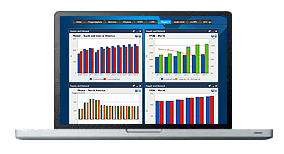 From pricing information and global trade activities, to supply and demand and breaking news, the ICIS Subscriber Platform provides users with an unparalleled, customisable view of the factors affecting market conditions – all in a single screen. Subscriber Platform customers can also access customised data, news and reports on the move via the ICIS mobile web app, meaning you can keep in touch with the latest prices and market developments, wherever you are. Go to www.icis.com/mobiledashboard on your phone’s browser and enter your existing subsriber platform username and password. Not a subscriber platform customer? Contact us if you’d like to find out more about the prices, news and reports available on the subsriber platform . We’ll be happy to arrange a demo for you. An intelligent solution designed to increase productivity and enable faster decision making in commodities markets. Introducing two ways to access your ICIS data: Excel Plug-In & API. Save time, reduce risk by minimising manual processes and skip straight to your analysis. Which one best suits your business needs? Newly available on the ICIS subsriber platform, the Supply and Demand Window provides a snapshot view of historical and forecast information for supply and demand, production capacity and trade flows – a key tool to help safeguard future investments within the chemicals market. Get email alerts on developments in the markets that matter to you. You can now set up email alerts for the most fluid petrochemicals and fertilizers markets, to help you keep on top of market movements and enabling you to react faster. Choose what matters to you the most and we will send the relevant market updates directly to your inbox. This ICIS subsriber platform enhancement allows you to stay at the forefront of market developments and keeps you updated on price changes and significant events that are likely to impact markets, influence commodity prices, and affect your daily business decisions by providing real-time relevance within your workflows. Why use the ICIS subsriber platform ? Want to know more about the ICIS subsriber platform? Need help with using the subsriber platform?